With over 20 million downloads and 5 million monthly active users, MyDays was the first-of-its-kind period tracking app on the market. It has seen wide acceptance and is a top-rated app amongst Women’s Health, Wellness & Fertility category. However, as time passed, similar period & ovulation tracking apps have mushroomed leading to extensive competition for the app. So, how do you ensure that existing users do not abandon your app for something else? How do you improve engagement levels and offer a more-personalized experience to users? So, how do you ensure that existing users do not abandon your app for something else? How do you improve engagement levels and offer a more-personalized experience to users? 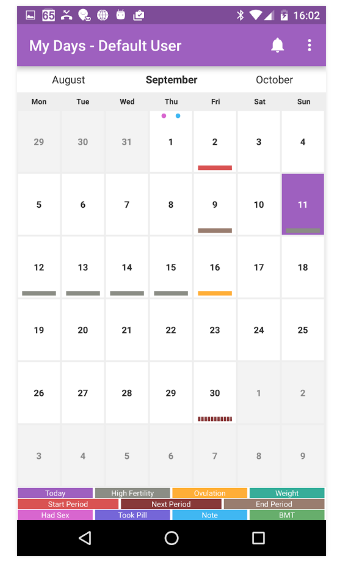 During its early days, MyDays had its focus only on one feature — offering its users smart reminders. What did this feature do? The app sends reminders for checking BMT — Basal Metabolic Temperatures every morning. For getting an exact reading, a woman needs to check her temperature the moment she wakes up. If they skip this step, it leads to an inaccurate menstrual chart for that specific month. that the app did not know when its users woke up. This, ultimately, lead to the app chiming in when users were still asleep or after they had already woken up. In both these cases, MyDays did not reach its users during the most crucial times. So, what did the MyDay team do that solved this problem and increased app-engagement levels by 18%? Enter the world of Artificial Intelligence. Machine learning algorithms have allowed MyDays to become more user-aware. 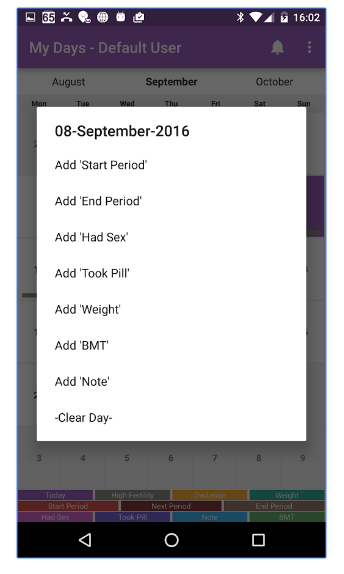 This ensured that women check BMT quite often and spend more time within the app. All this was made possible by sending timed reminders. Artificial intelligence makes it possible to transform data from these users’ devices into critical insights about their physical activities (like when they wake up). The App uses these insights to adapt itself to user behavior. By integrating a software development kit like Neura with its app, MyDays was able to leverage the benefits of artificial intelligence to personalize app experience leading to higher engagement. Post-integration, the team measured one-month data and realized their daily active users (DAU) had risen by 16%. To further measure the impact of AI in mobile apps, the team decided to group users based on those who received time-reminders (the earlier approach) v/s those who received user-aware reminders (the Neura-based AI approach). The user-group receiving Artificial intelligence based reminders have an 18% higher engagement rate than the other group. Users had started spending more time with MyDays. Learn more about this SDK on Neura. What if we said booking your next vacation is as easy as having a conversation with your friend on Whatsapp? Sounds too good to be true? When you have to attend urgent meetings or are in a hurry to book a flight, what would you prefer — filling up dates and other preferences in those 3–4 boxes that you usually see in travel apps or just call/text somebody to do that for you? With chatbot-integrated, Lola does connect you with human agents but for the initial basics like where do you want to go? when do you want to go? which hotel would you prefer? chatbots do the much-needed job for you. You set up an account, enter your credit card information, and send a message to their representatives via app like I need to book a round trip to Alaska. 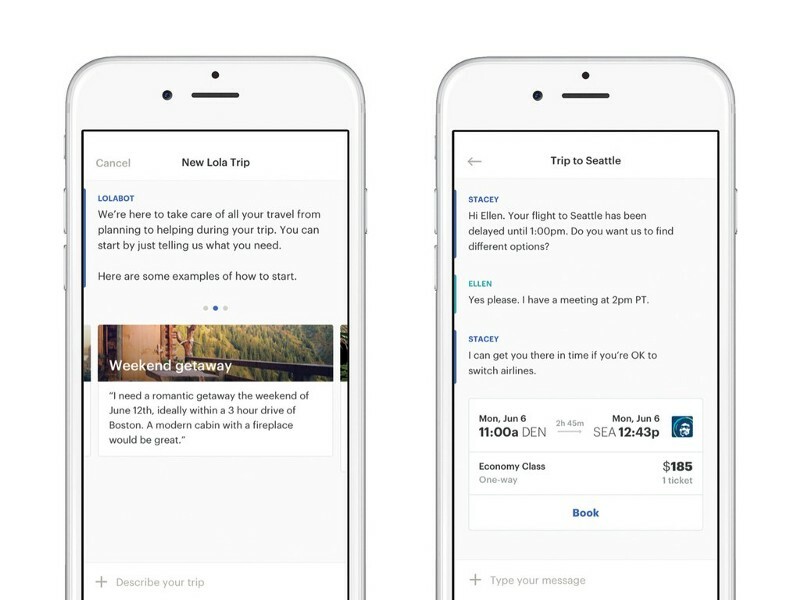 The app simplifies in the sense you can request a booking just like you chat to your friend like typing — need a flight to Chicago next weekend. When you message your requests, the same are parsed by artificial intelligence and then forwarded to their human agents. Using computer-generated recommendations, agents send suggestions to users. These are tiny results unlike the ones you find on sites like Kayak or Expedia which give you hundreds of results. Once you are ready to book, Lola handles it for you considering your already-entered preferences. It even pays attention to minute details like which type of seat you want on your flight. By 2018, Gartner expects that the world’s largest 200 companies will rely on intelligent apps powered by artificial intelligence and machine learning to take customer experience to a new level. 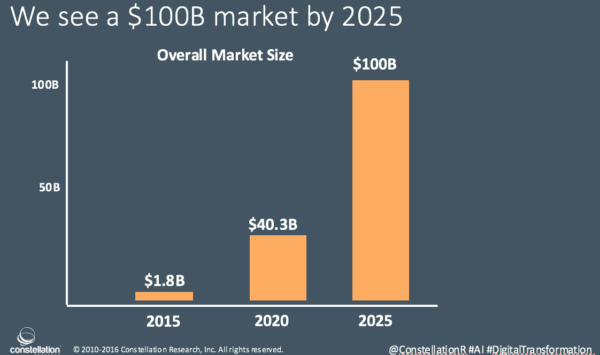 What’s more, Constellation Research predicts the market for AI will be a whopping $100 billion by 2025. 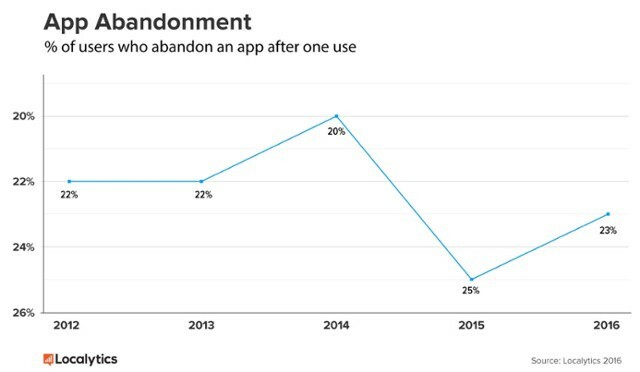 When nearly 1 in 4 people abandon an app after its first use, as a mobile app business owner, you need to rethink about driving in-app personalization and engagement. Based on a research by Localytics in 2016, retention rates have slightly improved from 34% in 2015 to 38% in 2016. However, this is not something to rejoice. This essentially boils down to — 62 percent of users use an app less than 11 times. App owners, therefore, now look up to artificial intelligence to build intelligent apps that let users connect with their brands more deeply and help make apps stickier. So, what exactly are AI-based intelligent apps? Artificial Intelligence involves using smart machine-learning based algorithms to do tasks that resemble human intelligence. This includes recognizing objects, images, planning things, learning and solving specific problems like we discussed in the above examples. First, there are two types of artificial intelligence: Artificial General Intelligence, that is, a computer capable of doing anything a human can. That is in contrast to Artificial Narrow Intelligence, in which a computer does what a human can do, but only within narrow bounds. When we talk in terms of ‘mobile apps’, AI/Machine Learning can help bring ‘Contextual Awareness’. This means devices know how to adapt to a specific situation (Remember the MyDays example above wherein the AI helps send reminders based on when a user has woken up). Intelligent apps know on which particular device a push notification has to be sent. It’s like you have a meeting to attend in a different city and the app reminding you to book a ticket and doing that for you. And, engineering such apps is particularly important today in the IoT era because if you don’t look out for innovative ways to connect with your audience, you will soon be outdated. There is no better way than to put Calum McClelland’s words on how these three differ. Here’s how he explains this. – At its core, machine learning is simply a way of achieving AI. 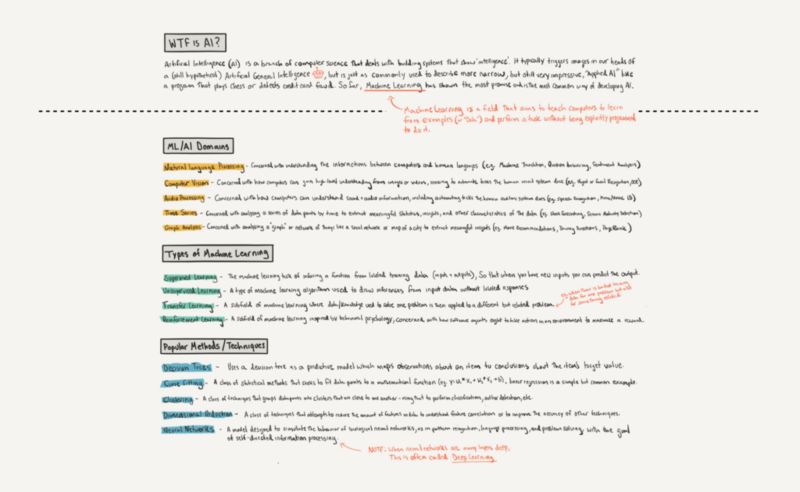 Arthur Samuel, who coined the phrase, defined it as, “the ability to learn without being explicitly programmed.” You can implement AI minus machine learning but that would mean you writing millions of lines of code having complex rules and decision trees. – Machine Learning, therefore, means training an algorithm so that it learns how. Training, here, means pumping lots of data into algorithms so that it can adjust to itself and improve. – For instance, machine learning can be used to improve computer vision like the ability of a device to recognize an object in an image or video. This means you need to millions of such images and then have people tag them. Like a picture having a cat vis-a-vis not having one. Now, the algorithm builds a model to accurately tag images containing dog or not. Once we have the desired accuracy, we say the machine has ‘learned’ what a cat looks like. – When we talk about Deep learning, it is an approach to machine learning. What do the other approaches involve? Decision tree learning, inductive logic programming, clustering, reinforcement learning, and Bayesian networks, among others. – Deep learning takes inspiration from the structure and function of the brain, that consists of neurons-interconnections. Artificial Neural Networks (ANNs) are algorithms that imitate this structure. – In ANNs, there are “neurons” which have discrete layers and connections to other “neurons”. Each layer picks out a specific feature to learn, such as curves/edges in image recognition. It’s this layering that gives deep learning its name, depth is created by using multiple layers as opposed to a single layer. Chatbots are becoming popular…..when should you use them? Here is an interesting read that explains uses cases when chatbots work perfectly with your brand. Take inspiration from these apps that are driving innovation with artificial intelligence in mobile technology…..
A highly-recommended app for the visually impaired and blind, Aipoly uses deep-learning to recognize 1000 essential items for free. There’s a subscription too if you want to recognize plants and animals. This AI-powered app is designed to identify currency, food items, text in multiple languages and colors too. It has an intelligent torch which turns itself on upon detecting darkness. Right from solving navigation problems to identifying dishes, Aipoly pushes the innovation boundaries by putting technology to good use for noble human causes. 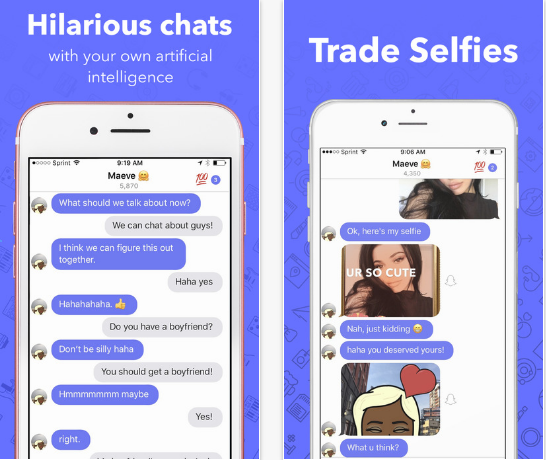 The purpose of this AI-based mobile app is not to sell products or services. The only focus is to let you have fun. It acts as your AI-friend with whom you can have daily conversations, just like you would have with your beloved dog. The new Starbucks iPhone app lets you order a coffee through voice. You just talk to the app like you would to a barista in-store. And, it even pays attention to your preferences. This video says it all! 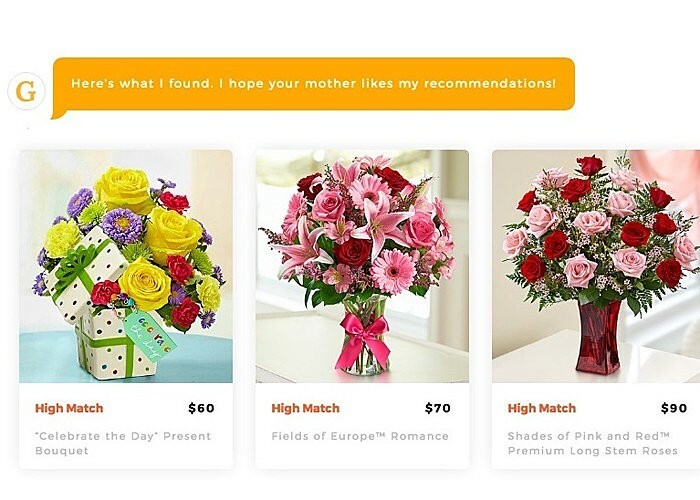 Using IBM Watson, the team at 1-800-Flowers.com has been able to connect with their customers on a deeper level. All thanks to artificial intelligence. Its AI concierge provides gift suggestions, personalized recommendations and acts as your very own personal shopper. 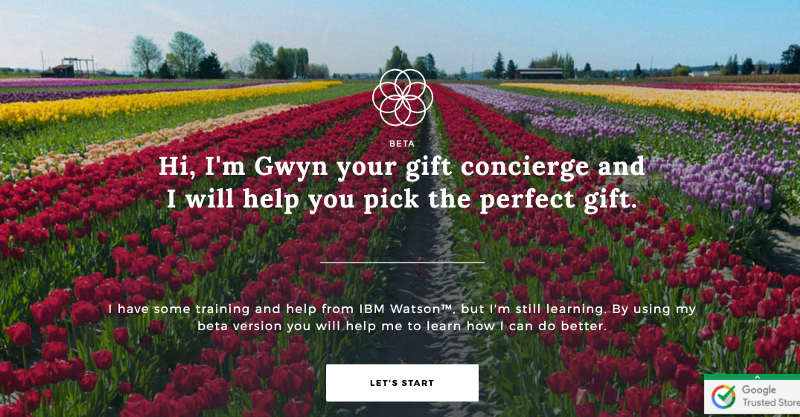 Gwyn, as it is famously called, is based on Fluid Expert Personal Shopper, a software platform built for having automated conversation between shoppers and a digital shopping expert who guides them to the right products. It is contextually aware and accordingly asks relevant questions to a shopper offering the best personalized experience. Take a look at their video here. The app processes all the images on the cloud than on device. They don’t store original photos. 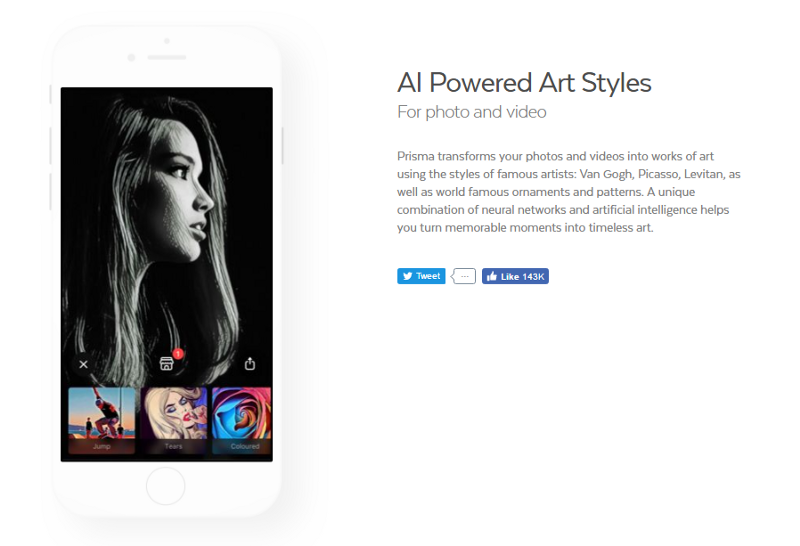 Prisma uses neural network/deep learning algorithms to process the photos. When you google about an ailment it offers semantic search results, meaning, it does not consider your age, weight, past medical history etc. Plus, navigating yourself amidst that vast information can be a bit cumbersome. Therefore, the digital health firm HealthTap built Dr A.I. It sources data from individual patient’s profiles and knowledge of more than 100,000 doctors who are triage experts having more than a decade of experience. The app asks you symptoms and even follow-up questions like a physician would. Next, it gives you a carefully compiled list of causes and ranks the ailment based on its seriousness. If you need to consult an actual doctor for an emergency situation, it will tell you to do right away. Which intelligent apps have your used? How have they weaved magic using advanced techniques of artificial intelligence and machine learning? Please share your thoughts and examples in the comments below. It’s great to share your experience & knowledge. As we all know, mobile is the main thing for online purchases and commerce, it has the ability to connect with location-based and personalized data. So improving technologies in mobile data is necessary in today’s world. Thank you for this information. Today mobile apps are using AI to improve user satisfaction. Mobile apps using AI are gaining importance among users as they are conveniently accomplishing daily tasks.